This approx 4 acre property has mixed use residential, recreational with a mobile home built in 1981. There are 2 bedrooms, 1 bathroom with 2 outbuildings and road frontage in Saffell, AR 72572, Lawrence County. There are whitetail deer and turkey crossing over property daily! This property is only 3 miles South of Strawberry down highway 25 on the east side of the road. Mobile needs some TLC but is being lived in now. 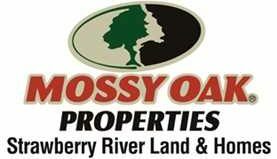 Located under 10 miles from Rainy Break on the Black River. Would make a great place for hunters. Call 870-897-0700 to view this property.